Ace Hardware Corporation, the largest retailer-owned hardware cooperative in the world, is proud to announce it has been named one of America’s Most Reputable Companies in America for 2019. Conducted by reputation measurement and management services firm Reputation Institute in conjunction with Forbes, the report places Ace Hardware at number 35 for its balance of corporate responsibility and product innovation. The Forbes’ report ranked the top 100 most reputable companies in America, and Ace Hardware ranked in the top 40 among some of the world’s most well-loved brands. According to the Reputation Institute, companies in the ranking were scrutinized on all aspects of their organization’s ethics, leadership, values, and more. Reputation Institute surveyed more than 167,000 individuals to determine the rankings, and companies included in the list typically saw revenues in excess of $1 billion and brand familiarity with at least 30% of the U.S. general population. To read more about the report and America’s Most Reputable Companies visit Forbes.com. 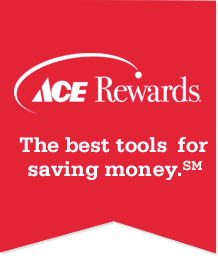 For more information about retail ownership opportunities at Ace Hardware, please visit myace.com. Your ultimate power tool for business success.